It's rare that I carve anything from an original piece of tree; I normally use wood that has been seasoned so it's very unikely to split. I glue up to size where necessary. Few woods can be carved from a whole log without problems and since all my carving work is commissioned, I just cannot take the risk of wood 'checking', warping or otherwise behaving badly (like wood!) either while I carve it or when the piece has been delivered. 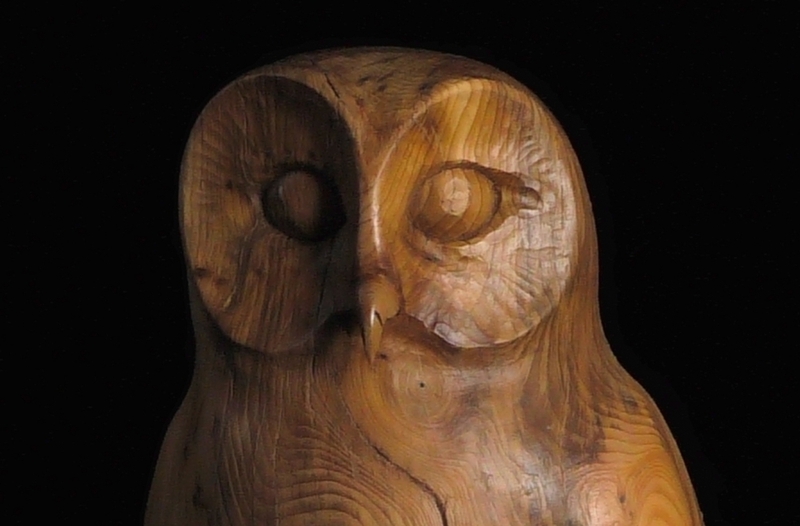 However, we have been asked several times about carving from a whole log so I thought I'd give it a go, with this owl the result. I will say that one of the avantages of a whole log is the wonderful contoured figuring effect you can get, as you can see from the picture. Follow me through the whole process, the whole journey. This is a 2-part/month series.There's a lot of work. And a lot to learn!